When SWET member Deborah Iwabuchi translated a Japanese children’s book into English, she, a collaborator, and the author all read an article in the September–October 2011 issue of Nihon jidō bungaku (Japanese Children’s Literature). In the article, “Honyaku-tte nan da” (What Exactly Is Translation? ), English-to-Japanese translator Yumiko Sakuma describes her career and conveys the need to recast, not mechanically render, literature in the target language. Thanks to Sakuma’s piece, Iwabuchi’s client saw the need to push far beyond a literal translation. Below, Iwabuchi reflects on this experience and shares her translation of Sakuma’s article. 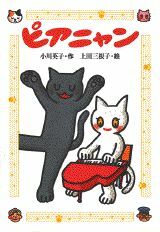 In early 2012, Kazuko Enda and I began work on the translation of a children’s chapter book entitled Pianyan, the story of a piano-playing kitten who moves from Niigata to Tokyo to seek her fortune. The text looked easy, but nothing in translation is ever straightforward. The first issue was names. Since I could never correctly pronounce Pianyan (piano + “meow” in Japanese), the name of the main character, or get her gender straight (the name didn’t sound very feminine to me), I had small hopes of our readership being able to do either—especially our non-Japanese speaking readers. I knew that the names of some of the characters in the book would have to be changed. The big question was what the author, Hideko Ogawa, would think about it. Kazuko and I went to meet Ogawa for the first time, anxious about what she would think about names and other questions we had. Our fears were instantly allayed when she handed us copies of the September–October 2011 issue of Nihon jidō bungaku (Japanese Children’s Literature), of which she was one of the editors. This particular issue featured translation. There were articles by authors about the way their books had been translated into other languages, essays on translation itself, and an article by the award-winning children’s literature translator Yumiko Sakuma. In this article, Sakuma talks about how she became a translator, what it means to be one, and the tasks translators are responsible for. Giving examples of her own work, she explains why translators have often decided to alter certain things—such as names—for the sake of the target audience. She talks about the balance between being true to the culture of the original and making the story relevant and interesting for the reader, using specific examples from literature. She finishes with her experience translating a children’s book by U.S. President Barack Obama into Japanese (a little bit of a surprise ending!). To Kazuko’s and my delight, this journal issue as a whole and Sakuma’s article in particular had already given our author Ogawa enormous empathy for her translators. It had convinced her of a need to be open to discussion of every single issue we might raise with her. Thanks to this story from the English-to-Japanese side of the fence, our Japanese-to-English translation process could not have been more cordial or cooperative. 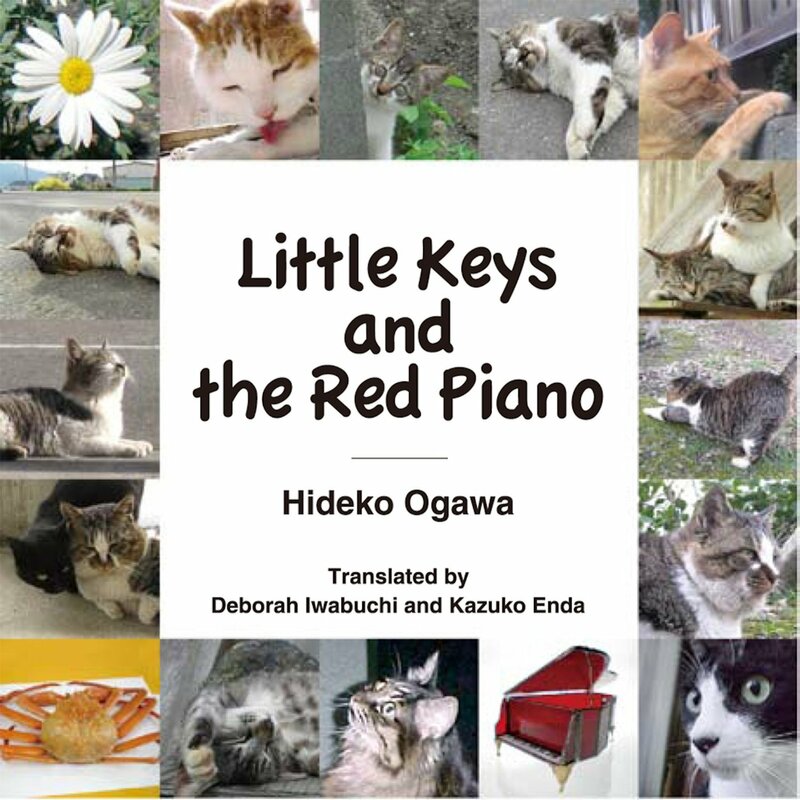 To make a long story short, our feline heroine Pianyan’s name was changed to Little Keys, and Pianyan was published in English as a Kindle book under the title Little Keys and the Red Piano. Sakuma’s article was one of the most valuable things I took away from this particular project. I was surprised and heartened to find that many of her struggles mirror my own experiences and conclusions, and the examples in the article have provided me with concrete material for discussion with authors and publishers. I hope that many other J-to-E translators will read this piece by an E-to-J colleague and take advantage of the same knowledge and inspiration. I never deliberately set out to be a translator, but looking back, I can see that there were a number of nudges that got me going in that direction. I had an aunt living in the United States, and she once sent me two picture books in English. One was an abbreviated version of Heidi that was full of illustrations. The other was Mother Goose by Alice and Martin Provensen. I don’t remember whether I received the books when I was in primary or middle school. I do remember, though, that when I started learning English in middle school, I took out my brand-new English-Japanese dictionary and got to work reading both books. This was my first experience translating. As I began to understand what was on the pages, I felt as though I was cracking a code. My impression of Mother Goose was that it was a collection of “odd poems,” and I couldn’t tell whether I simply couldn’t figure them out, or they were just strange to begin with. In university, I majored in French literature. If I’d known I wanted to research children’s literature, I probably wouldn’t have chosen French. At the time, though, I wanted to understand novels for adults. One of the French courses I took was “Research on Modern Poetry.” The professor was Satoru Takamura, who had published translations of poetry by Paul Éluard. During each class, Prof. Takamura passed out copies of poems and had us translate them into Japanese. He praised the work I did—maybe because there weren’t many students in the class to compare to. He encouraged me to submit some of my translations to Shigaku, a poetry journal, and thus my first translation went into print. At the time, I was also taking classes at the Institut Français in Tokyo, so I discovered how interesting it was to learn a language based on a system completely different from Japanese. After graduation from university, I got a job at Bunka Publishing Bureau where I was assigned to the book editing department. The publisher had just begun to release picture books, and I was put to work on them. Back then I didn’t have any children of my own or even know many children, so I was not interested in the work I was supposed to do. I even went to my boss and asked to be allowed to do adult books. He told me he’d let me do it if I would edit the several picture books already scheduled for publication. So, during the day I did my share of work on children’s books, and then I stayed late into the night to help edit books for adults. Gradually, though, children’s books began to grow on me. I realized that books written for adults were greatly influenced by the era, while children’s literature tended to adhere to unchanging, universal values. I also learned that good children’s books were more likely to be long sellers. On my days off from editing, I did some translation. One of my friends from college had accepted some French translation work, and I did the first draft, looking up words, etc. The result was that I began to sense the limitations of my translation abilities. I felt that I shouldn’t be depending so much on the words provided by dictionaries. I decided that I needed to learn language used in everyday situations in order to understand the fine nuances. I made my first trip abroad during my second year working at Bunka Publishing Bureau. I went to post-Cultural Revolution China at a time when Japan still had no diplomatic relations with that country. I visited a “re-education camp” where the intellectual elite were sent to experience physical labor. I observed the crews that worked on live power lines, risking their lives making repairs without turning off the electricity. It was immediately clear that there was an enormous gap between book learning and actual experience. At the time, one had to be invited to visit China because it had no official relations with Japan. I and the others in my group had read lots of books in preparation so that we could make the most of the experience, but the China that we saw was quite a bit different from the country we had read about. It made me want to get out and see the rest of the world. I quit my job and went to England. You may wonder why I didn’t go to France. One reason was that, after reading lots of French children’s books, I had decided they weren’t very interesting. The other reason was much more practical: The room in London where the sister of a friend of mine had been living would be available for me to move into. At the same time, I was also writing columns for Japanese newspapers and magazines about my experiences with British children. In connection with this, I visited every place in England where I could find children: state and private schools, libraries, children’s theaters, adventure playgrounds, day care centers, Steiner schools, etc. In those days, one U.S. dollar was worth 360 Japanese yen. I had saved up my salary in Japan and been paid for overtime, so I had reckoned I would have enough money to live in England for about a year. It turned out, though, that I never ran out of money. I went to school to learn English and English literature, all the while working at the various jobs I mentioned above. One job I was lucky enough to get was interpreting for Vidal Sassoon. By interpreting for Japanese barbers and beauticians who came to Sassoon’s beauty school, I earned enough in a week to live quite comfortably for an entire month. Financially, I could have lived in England indefinitely, but after three years and then four years, I found myself starved for Japanese. I borrowed Japanese books available at the University of London library, but that wasn’t enough. The beauticians visiting from Japan gave me the magazines and newspapers they’d brought with them, and I devoured them from cover to cover. Every once in a while, I’d get hold of a book by Shūgorō Yamamoto or some other popular writer. The words flowed into me like rain falling on parched ground. They almost made me cry. Returning to Japan after four years in England, I decided to become a translator. I was confident in my English abilities and made the rounds of various translation companies looking for work. Unfortunately, I came up empty-handed. That’s right, just because I thought I was good enough to be a translator didn’t mean I could make a living from it. I didn’t have a clue how to go about looking for work, and I didn’t make much off the occasional technical translations I was hired to do. I decided to go back to work as an editor and got a job at the publisher Fuzambo. This came about when I translated a collection of traditional African folk tales and took them to that publisher for consideration. I had finally learned that merely offering to do a translation was not enough; it was better to have something in hand when I approached a publisher. I soon discovered, however, another problem: Fuzambo would accept my translation for publication, but I wouldn’t receive a cent until it was actually in print. I submitted the manuscript and then waited a year—two years. I had to eat, so I began to call my editor. I started out calling once a month, but this gradually increased to once every two weeks. When my calls started coming in once a week, the editor finally offered me a job as an editor of children’s books. Thus it was that I began to work at Fuzambo. The first book I edited was the one I had translated, Kibaraka to mahō no uma (Kibaraka and the Magic Horse), the compilation of African folk tales. Thus, I found myself working at a publisher again and translating another African book on my days off, a little bit at a time. There was a reason I kept translating on my own: As an editor in Japan, I could only work on translations indirectly. Even if I felt a book should be translated in a different way, I couldn’t change what had been written unless there was a glaring mistake or an expression that was incomprehensible. I had to make subtle suggestions, and then take them off the table if the writer or translator disagreed with them. As an editor, I was often upset by the translations of proud university professors who were not used to working with children’s books. The only way I could relieve myself of the frustration was to do my own translations in my private time. In this way, I translated a book on my own every year or two while I worked at Fuzambo. Eventually I quit to become a freelance translator. In 2010, I began to teach full time at Aoyama Gakuin Women’s Junior College, but I continue to translate. What Is the Job of a Translator? The job of a translator is to get an idea of the overall “world” of a book, and then after thinking it through, offer it according to another linguistic system so that readers can understand it. To do this, the translator must understand the style of the author, the mood, the characters, the setting, the subtle allusions, and the core of the plot. Every person who reads a book will have a slightly different first impression. Maybe that’s why books that have been divided up among multiple translators—or roughly translated by one author and then polished by the translator whose name appears on the published book, as sometimes happens in Japan—don’t seem quite right to me (they remind me of jigsaw puzzles that have been forced together, even if the pieces don’t match). The interpretation of each person is, to a certain degree, in conflict with the others. To translate, first of all you have to have a strong knowledge of a foreign language. Knowing what’s taught in a textbook will not do the trick. You can’t translate a language unless you can live in it. You also have to know lots of other things besides the language itself. If there is something you don’t know, you’ll have to look it up. As an example, when I translated The Mantis and the Moon by South African author Marguerite Poland (for Fukuinkan Shoten Publishers), it was a lot of work to look up all the names of plants and animals. This was before the Internet, so I had to go to a number of different libraries and institutes and look words up on my days off. When I couldn’t find Japanese names for certain plants and insects, then I’d write to the author to ask for the Latin names. It took me an entire year just to check all the names in Japanese. Then, there was Parrot in the Oven by Victor Martinez (published in translation by Kodansha). I had to deal with slang used by Mexican Americans. There were lots of words that I couldn’t find out by asking other Americans or people from Spain. When I translated Little Soldier by British author Bernard Ashley, I had an awful time with slang used by youth in inner-city London. I consulted dictionaries of slang and still couldn’t find many of the words. I finally resorted to ordering the version of the book sold in the U.S.—which used American slang—and comparing it with the U.K. version. Reading both versions, I was able to figure out the meanings. So you can see, translation involves spending a lot of time looking things up. Next, to translate into Japanese, you’ve got to have a solid command of Japanese. It’s not merely a matter of picking out words for translation. If you are doing literature, you must be able to create the rhythms and nuances of well-written Japanese. This may sound like an exaggeration, but quality is determined by whether your work has the soul of the language you are writing in. So to translate into Japanese, you must be skilled in both a foreign language and Japanese. It’s difficult to rank the two, but I’ve come to believe that skills in Japanese are the more critical. Translation is both challenging and thrilling, and the result is an inability ever to be satisfied with your work. That’s probably why I continue to take up the challenge despite the troublesome aspects. Translating one or even two books will not bring work to your doorstep. So, staying on the lookout for books that are worth translating is another job of translators. I like to keep an eye on book reviews, and when I travel overseas, I go to bookshops and libraries to look for new books. When I find a good one, I prepare a report about three pages long. It includes the outline of the story and my critique of it, why I think it should be introduced in Japan, and a short introduction of the author. Then I take it to a publisher. If it makes it through the publisher’s selection process, then I get even more attached to the book and throw myself into the translation. When choosing books, I try to find ones that have themes or other characteristics that I don’t think Japanese authors could produce. I think of books as windows for children. The child is the one who opens the window, but it is the job of adults to make sure that when the window is open, the child can see different scenery and get a look at different values. The best selling books I’ve ever translated are the Rowan of Rin series by Emily Rodda (for Asunaro Shobo). I discovered them one day when I was in the town of Byron Bay, Australia. I stopped into a bookshop and asked the clerk what Australian children were reading, and Rowan of Rin was the answer I got. Nowadays publishers do send me books to consider. Even so, I want to translate books that I think are interesting and have some meaning for Japanese children. For example, Suzuki Publishing put out a book I translated entitled Hitler’s Daughter by Jackie French, which was given a prize by Sankei Shimbun. Originally I had been approached by another publisher and asked to translate Hitler’s Daughter; I liked it and was enthusiastic about the project. The president of the publishing company, however, cancelled it because, he said, “It will make children sympathize with Hitler.” I didn’t think he was right, and I decided I definitely wanted to get it published in Japan, so I found another publisher. The Translator’s Dilemma: Communicate Culture, or Keep It Simple? Translation has two important aspects. One is (A) introducing the customs and lifestyles of one culture to another culture. The other aspect is (B) communicating in a way that a reader not familiar with the culture will understand, especially when it comes to children’s books. In many cases, it’s impossible to do A and B equally well. It’s not a simple matter to introduce something from another culture to children in a way that will bring them closer to it. Let’s take Little Women by Louisa May Alcott as an example. It was first translated into Japanese in 1906. It was entitled Shōfujin (a direct translation of “little women”), translated (and illustrated) by Akiho Kitada and published by Saiunkaku. At the time, Japanese were unfamiliar with Western names, and all of the names of the characters were changed to Japanese. The March family’s last name was Shindo, Meg was Kikue, Jo was Taka, Beth was Tsuyuko, Amy was Emiko, their mother was Kimi, and their maid was Hana. Their neighbors were the Oginos, Shinkichi and Toshio, whose tutor was Masayoshi Ogawa. Money was mentioned in yen, but not everything was the same as in Japan. Emiko was described as having “beautiful golden hair.” The basis for changing the names of all of the characters to match the culture of readers was probably the translator’s intention to sacrifice A and achieve B. At the time, not all translations changed the names of characters. In 1875, Hideki Nagamine’s translation of The Arabian Nights was published by Keishōkaku, and it used the original characters’ names, but assigned kanji to them. When Tadanosuke Kawashima translated Jules Verne’s Around the World in 80 Days in 1878, he underlined proper names written in katakana, and gave London a name in kanji. In 1891, Shizuko Wakamatsu translated Frances Hodgson Burnett’s Little Lord Fauntleroy (for Jogaku Zasshi Sha) by simply writing the names from the book in katakana: Captain Errol, Hobbs, and New York. One of the oddest translations I’ve found is A Dog of Flanders, translated by Shiken Hidaka in 1908 (published by Naigai Shuppan Kyōkai). Here are the first sentences of the book: “Kiyoshi and Buchi were all alone in the world, lonely and with no one to depend on. They were friends in a friendship closer than brotherhood. Kiyoshi was from Ardennes, a hamlet along the banks of the Meuse River, which flowed on the border between France and Belgium, and Buchi was born in Flanders, a remote region of Belgium.” The characters and dog were given Japanese names while all of the place names stayed the same and were written in katakana. The characters were named as follows: Nello was Kiyoshi, Patrasche was Buchi, Aloise was Ayako, Jehann Daas was Tokuji (Grandpa Toku), and Baas Cogez was ogōri no danna (a gentleman of the canton). Rubens, the famous artist, was referred to as Rubenzu-sensei. Reading it today, this approach seems a little strange, but I imagine that it was the result of the translator wanting to draw the reader into the story. Changing the names of characters is still an issue. In Japan, we don’t change the characters’ names anymore and instead give the names in katakana, coming as close to the original as possible. But this is not true in all countries. I realized this when I was editing the Japanese version of a book by the Swedish author Maria Gripe. All of the names in the English version had been changed from Swedish to American names. In the English-reading world, it is the same for some Japanese picture books. The titles of two books by Yoriko Tsutsui, illustrated by Akiko Hayashi—Asae to chīsai imōto (Asae and Her Little Sister) and Imōto no nyūin (Little Sister’s Hospital Stay)—were changed in the first English-language versions to Anna in Charge (1991) and Anna’s Special Present (1990), both published by Puffin. Asae became Anna, and Aya became Katie. In later versions of the same two books, Finding Little Sister (2006) and Naomi’s Special Gift (2006), both by RIC Publications, Asae became Naomi and Aya became Ellie. In the Doubleday English version of Hayashi’s Kon to aki (Kon and Aki), the title is Aki and the Fox (1991), and both main characters keep their original Japanese names. In the RIC Publications version, however, the names have been changed as reflected in the title, Amy and Ken Visit Grandma (2006). Young readers abroad probably do not even realize the book is a translation from the Japanese. Or they may think children in other countries also have Western names. Changes are not limited to proper nouns. Even some common nouns are changed. For example, in the Japanese version of C.S. Lewis’s The Lion, the Witch and the Wardrobe, we read about “custard pudding.” In the original version, the treat is Turkish delight. In Turkey, this confection is called lokum. It is made with sugar and nuts added to cornstarch and other starches, and then coated with powdered sugar. I first had Turkish delight at an outdoor stall at the Oktoberfest in Munich. Later, I had cloyingly sweet Turkish delight in England. It was not until I found a famous shop in Istanbul that made the real lokum that I realized just how moderately sweet and very delicious it is supposed to be. At any rate, pudding is not even close to Turkish delight. Translator Teiji Seta had avoided using a treat that Japanese children were unfamiliar with, and changed it to pudding, which they knew well. He may have felt that adding footnotes or other comments would just make the book complicated and break up the flow of the story. Pretzels appear in Let’s Be Enemies, by Janice May Udry and Maurice Sendak. This snack food is a kind of bread that was devised by Germans to eat while drinking beer. In Tomoko Kodama’s translation of the book (Kimi nanka daikiraisa, Fuzambo, 1975), pretzel is translated as a “curly cookie” (kuru kuru cookie). If Kodama had left pretzels as they were, we might have learned that pretzels were also popular in Poland, from where Sendak’s Jewish parents immigrated to the United States. However, adding footnotes to children’s picture books hardly ever works out well, and translators tend to change expressions that Japanese children are unfamiliar with. In other words, in almost all cases, B (communicating the story to the reader) takes priority over A (introducing the unfamiliar culture). If the translator makes sure the story is one that engages the reader, introducing the culture of the original version of the book is going to be sacrificed. If the translator is determined to introduce the culture over the story, notes and comments will be needed. These will break up the flow of the story and make it less engrossing. It is the fate of the translator always to be wandering back and forth in the narrow passage between story and culture, looking in vain for an exit. What Exactly Do You Think a Translation Is? I had a terrible time translating a picture book written by U.S. President Barack Obama. I imagine that the U.S. publisher and the president had signed some sort of contract about how it would be translated into foreign languages. I was asked to “be faithful to the original.” As I have mentioned before, translation of picture books means switching a story into another linguistic system, making sure the essence and the nuance are retained. You can’t just look up words in the dictionary and replace them one by one. Even the title of a book can turn out to be very odd if you use a direct translation. Obama’s book was entitled Of Thee I Sing. This is the title of a Broadway musical as well as a line from the patriotic song sung by Aretha Franklin at President Obama’s inauguration. In other words, it is a simple phrase that evokes clear images in the minds of Americans. When translated directly into Japanese as Nanji no koto o utau, however, Japanese children have no idea what it means. At first I thought I might translate it as Kibō no uta (Song of Hope), but the American publisher rejected it. And not just the title. I was ordered to do a “literal translation” of the text on the inside flaps! I tried to explain differences in practices to the U.S. publisher—for example, how books from Western countries often have promotional blurbs on the back cover, but that this would have a cheap and unattractive effect on a Japanese book. They refused to listen. The publisher had no concept of what a translation was, and we were unable even to discuss the matter. So I gave up arguing and decided to follow their instructions, translating literally, giving the book a straight title, and even translating the lines on the back cover. At the same time, I tried my best to make it attractive. If you have a chance, please take a look at how it turned out: Kimitachi ni okuru uta, published by Akashi Shoten (2011). Editors’ note: The author of this article permitted alterations and abbreviations in the translation. Yumiko Sakuma was born in Tokyo and graduated from Tokyo Metropolitan University with a degree in French literature. She worked as an editor at Bunka Publishing Bureau and at the publisher Fuzambo before becoming a freelance editor and translator. She is currently a professor at the Department of Childhood Studies at Aoyama Gakuin Women’s Junior College and runs a project promoting African children’s books, “Let’s Make Friends with African Children.” Sakuma serves on the Children’s Books Committee of the Japan PEN Club. She is the author of Dōshite afurika? Dōshite toshokan? (Why Africa? Why Libraries? 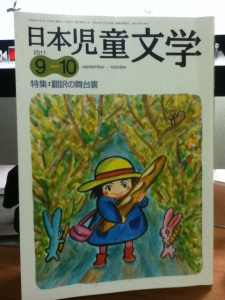 ), published by Akane Shobo, and has translated more than 200 children’s books into Japanese. In 1998, she received the Sankei Juvenile Literature Publishing Culture Award for Mō hitotsu no Anne no nikki, her translation of Memories of Anne Frank: Reflections of a Childhood Friend by Alison Leslie Gold. She received the Translated Picture Book Award in the Japan Picture Book Awards, sponsored by the School Library Association, for Yuki (Snow by Uri Shulevitz) in 1998 and Otōsan no chizu (How I Learned Geography by Uri Shulevitz) in 2009. She has also received the Yushodo Gesner Silver Prize for Kodomo no hon no rekishi, her translation of Children’s Literature: An Illustrated History edited by Peter Hunt.